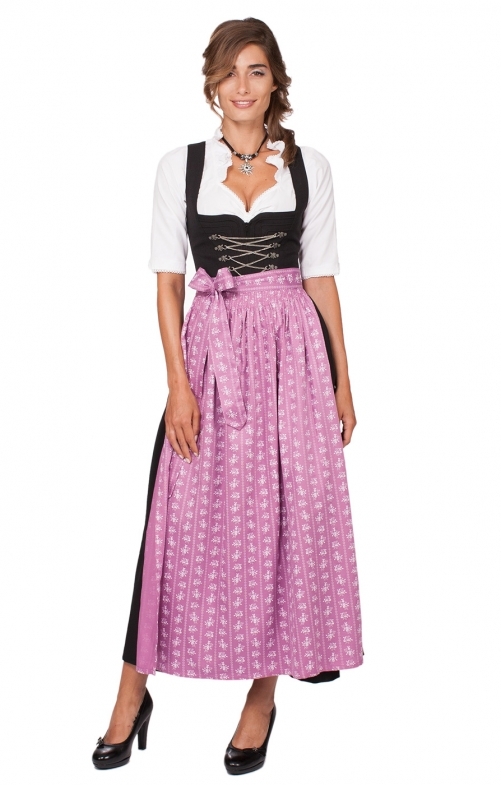 Women’s berry Dirndl apron. Any dress can be instantly transformed into a classic Oktoberfest outfit when this berry-coloured Tracgteb apron is tied onto the front. The waistband of this 100%-cotton apron is slightly pleated for a comfortable fit, while the 95cm length is designed to reach the ankles to recreate the traditional style that is admired at this timeless event. Schürze passt gut wie das Dirndl. Hab mir mehrere Dirndl zur Auswahl bestellt, alles super.